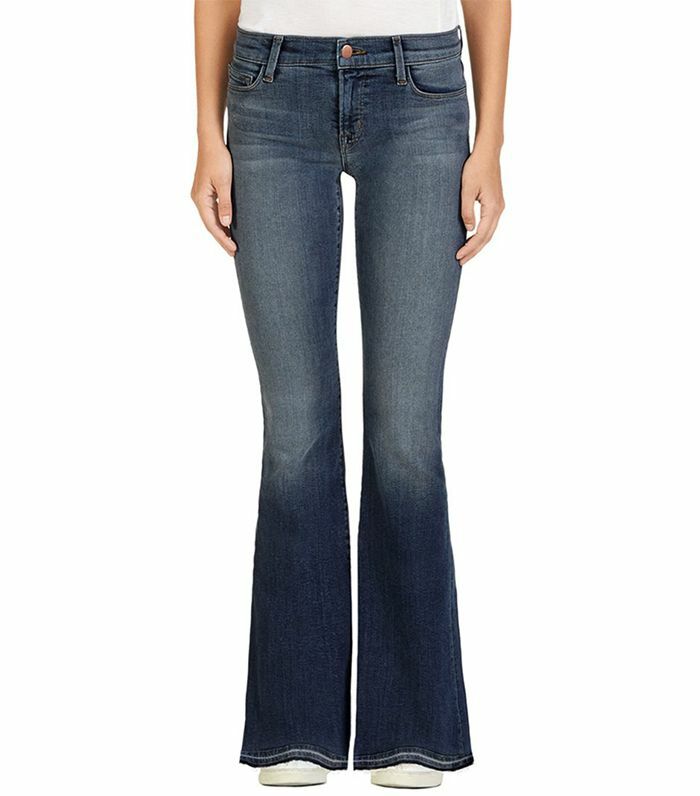 It's no secret—we can't get enough of flares. It is the trouser silhouette of the season, after all. Our only gripe with them is that we pretty much have to wear some sort of heel so they don't drag on the floor. Well, J Brand is here to change that, introducing its latest style: the 1187 Sneaker Flare. Featuring the same knee break as a regular flare, this find has a shorter inseam, perfect to wear with flat sneakers—or for petite women in general who don't want to have to hem their jeans. Want to try a pair out for yourself? (PS: Blogger Courtney Trop of Always Judging already loves the 1187s—pictured in them to the left). Keep scrolling to shop the jeans for yourself! Will you try out these jeans? Sound off in the comments below!